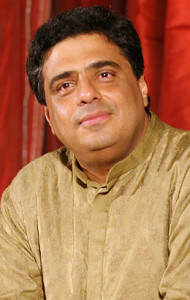 Indian entrepreneur and social philanthropist Rohinton Soli Screwvala played the most significant and iconic role in bringing entertainment as an integral part of life in the era when people in India would take a break from monotonous life of daily routine by watching Chitrahar on black and white Dyanora television. Ronnie is widely known as the founder and CEO of UTV Group (founded in 1990) that comprises of Bloomberg UTV, UTV Software Communications, and UTV Motion Pictures. Back in 1980, he started his small cable TV network and ran a three-hour video channel. Back then, people had no choice other than watching government run T.V. channel, Doordarshan. Soon, thousands of people started subscribing to his service for about Rs 200-250 every month. His small cable television company, UTV, became the most successful multimedia conglomerate, which was completely taken over By Disney in 2012 for an undisclosed amount. Screwvala is the Managing Director of Disney- UTV India, Founder & Advisor: at Unilazer Ventures Ltd., Managing Trustee of the Swades Foundation, which primarily focuses on India’s rural population and provides reliable running water, education, and support for women. He Is often called the Ted Turner of India because of having the similar life story. Ted Turner launched CNN and pioneered the live broadcasting news in early 70s in the United States when there was no cable television except for just three channels. Ronnie Screwvala has been responsible for broadening the horizon of film making and distribution, broadcasting, animation, gaming, partnerships, starting joint ventures and building of subsidiaries of United Television Group. Over the past 15 years, Ronnie has produced/co-produced several notable Bollywood films such as Lakshya, Swades, Rang De Basanti, Life in Metro, Fashion, Delhi-6, Udaan, and Kai Po Che!